Getting the Cat IN the Bag! 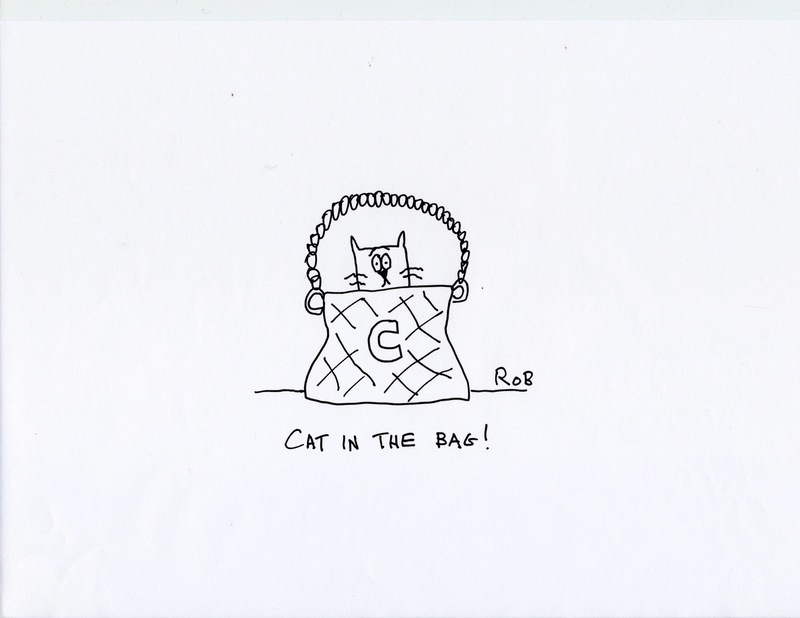 We all know the expression “letting the cat out of the bag”. But the expression begs the question – “How do you get the cat IN the bag in the first place?” As they say in the movie world – there has to be a BACKSTORY. Not easy, and you need to check out Shelley Sackier’s Peak Perspective blog for the ins and outs of the prequel-process when applied to cats. But how about a prequel to “Oceans 11”? What would that be called? “Puddles 1” maybe? Or “Pinnochio?” I reckon that would be called “Twig” or “Plank” or “Four-by-Two”. “Twilight”??? That’s an obvious one…”Afternoon”. Any other silly ideas floating around out there?